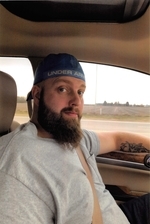 Justin Glasgow Obituary - Newport, Arkansas | Jackson's Funeral Homes Inc.
Mr. Justin Lee Glasgow of Tuckerman, Arkansas, departed this life on Wednesday, February 6, 2019 at the age of 33. He was born June 25, 1985 in Denver, Colorado. Justin was a 2002 graduate of Bay High School, and a United States Army veteran. During his enlistment, he was stationed in Germany for a year before being deployed to Iraq. He earned the Purple Heart award for his service in the Iraqi Conflict. Justin was a Master Chef, attending the Culinary Arts Institute in France, and could build or repair anything you put in front of him. Justin was of the Baptist belief, and was a member of the Men’s Soul Con Group at Village Creek Baptist Church in Diaz. He is survived by his parents, Donald and Sherry Glasgow of Tuckerman, and Lori Abeyta of Arizona; one son, Gage, of Clinton Township, Michigan; one daughter, Lydia, of Clinton Township, Michigan; his children's mother, Laura Champine of Clinton Township, Michigan; one sister, Autumn Glasgow and Ben, of Paragould; one stepbrother, Jason Hartsell of Paragould; two stepsisters, Rachel Ethridge of Tuckerman, and Cristel McPherson of Batesville; his special Aunt Sissy, Sandra Barnes of Bay; many aunts, uncles, nieces, nephews; and a lifetime of friends. Friends may visit at the funeral home, Monday, 6:00-8:00 p.m. Funeral services are 3:00 p.m. Tuesday, at Jackson’s Newport Funeral Home Chapel, with interment in Balch-Johnston Cemetery. His Soul Con Brothers will serve as pallbearers. Luke Ethridge will serve as an honorary pallbearer. Memorials may be made to Village Creek Baptist Church, 3701 North Main, Newport, AR 72112.